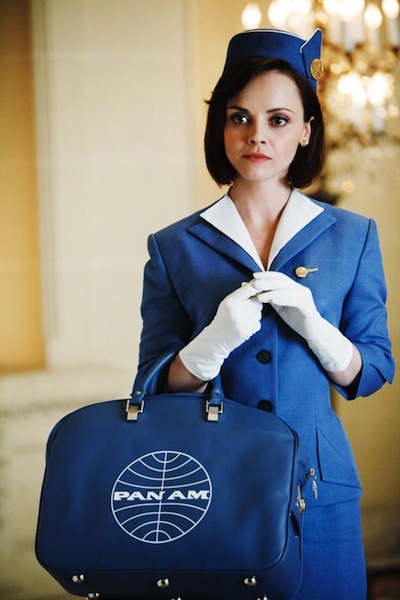 You might have noticed by now (from all those commercials and ads) that a new television series, called "Pan Am" is debuting tonight on ABC. 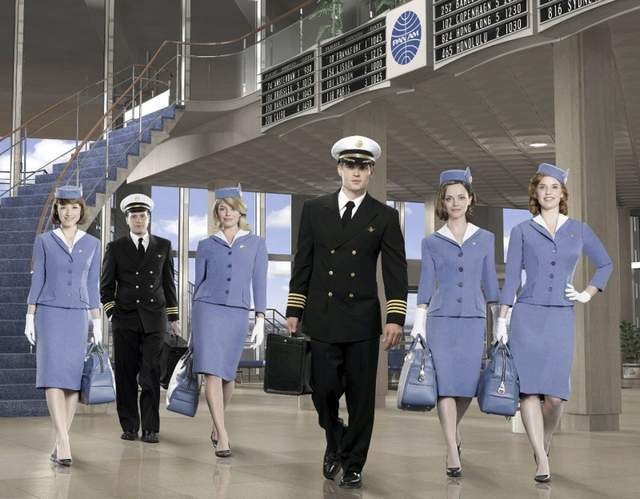 Well, being a person who: A) Loves flying B) Was barely 2 months old when I flew my first of many Pan Am flights C) And who LOVES those Old-School Flight Attendant Uniforms (those Pan Am stewardess of the late 70's/early 80's where my first "Style Muses") you know I am excited to watch! The series stars Christina Ricci (above), Kelly Garner, Michael Mosley, Mike Vogel, Karine Vanasse, and Margot Robbie. It focuses around the pilots and flight attendants (then called stewardesses) who worked for that iconic airline, Pan Am during 1963. 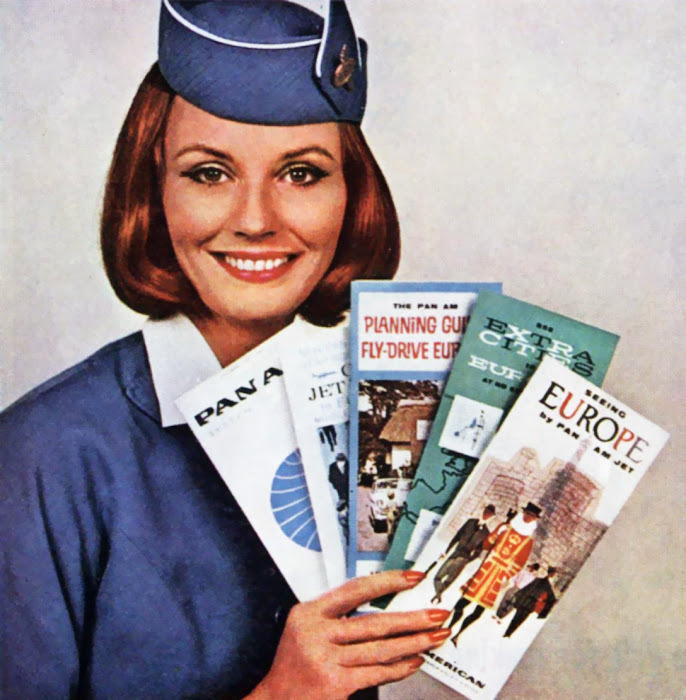 A Little History: Pan Am was founded in 1927 by Juan Terry Trippe as a US-Cuba mail service. 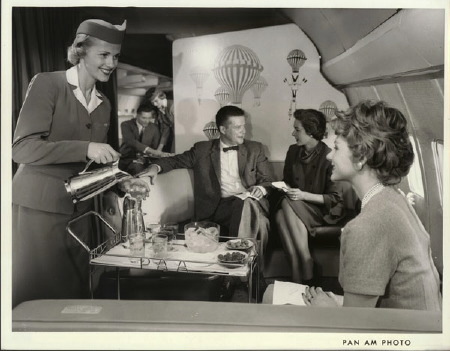 And by 1950, when it changed its name to Pan American World Airways, it began the first concept of "economy class" (until then, it was all First Class) and was operating routes all over the world. In 1958, it brought in the beginning of the "jet age" with its Boeing 707 (above) and the first transatlantic jet service New York to Paris. Of course, this also began the era of the Glamorous and very Fabulous Pan Am Stewardesses. As the new ABC series showed, they lived the life! 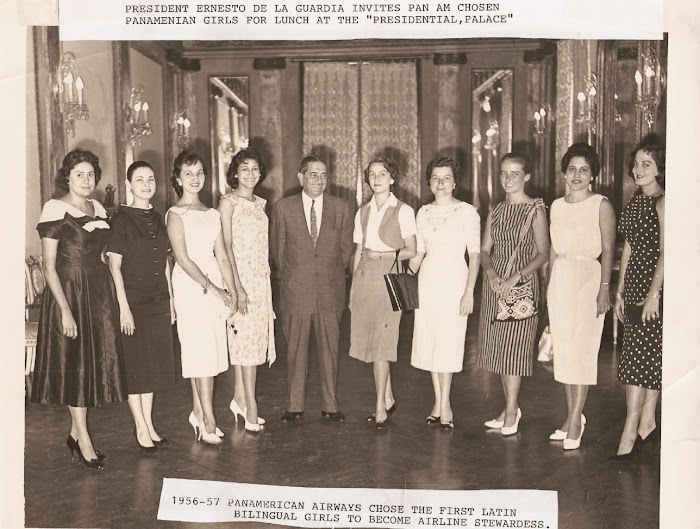 Back in the day, it was a much sought after job: The chic uniform, white gloves and pill box hat; the traveling around the world--one day Paris, the next London, the next Beirut! And not to mention, a potential escapade with a traveling diplomat or who-knows-who. They were the "Supermodels" of that era. Little girls wanted to be them and certain little boys who would later be inspired by them (Me!!). Also, traveling was, well, much more of a special experience, as seen from the photos above. 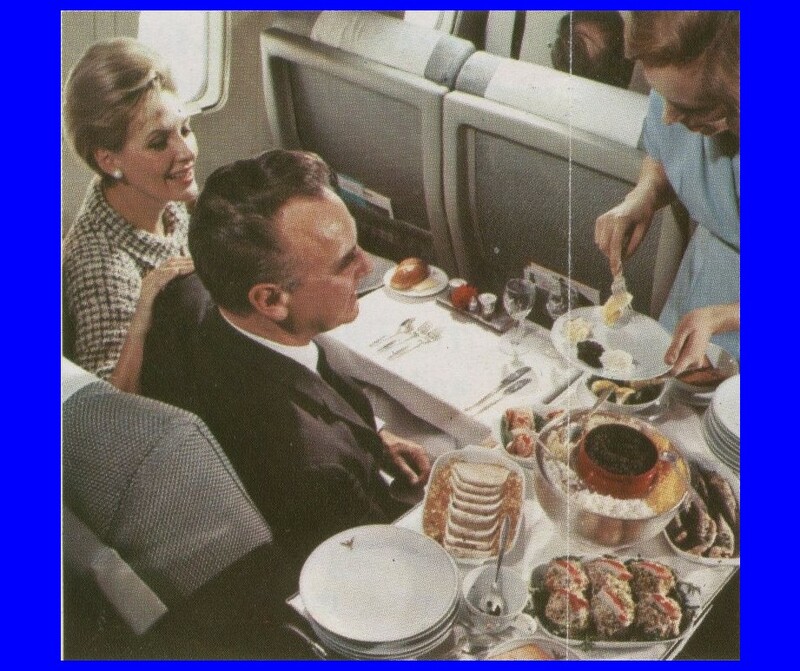 Economy Class was much nicer than what it is today (they actually served food!) 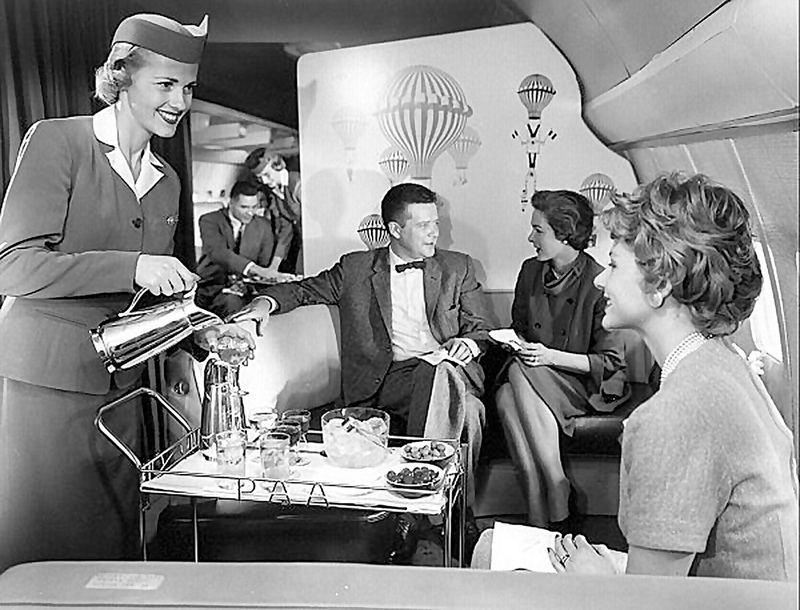 and the First Class section of that Boeing 707 even had a mini-lounge where passengers could socialize, get their aperitifs or post-dinner coffee. And yes, can I just say how much I LOVED those uniforms they wore! 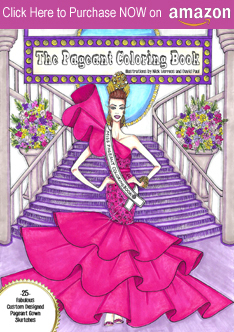 So fabulous. The light blue Pan Am fitted suit, "glove-length" sleeves, Revere-collar jackets, "respectable" below-the-knee pencil skirts. 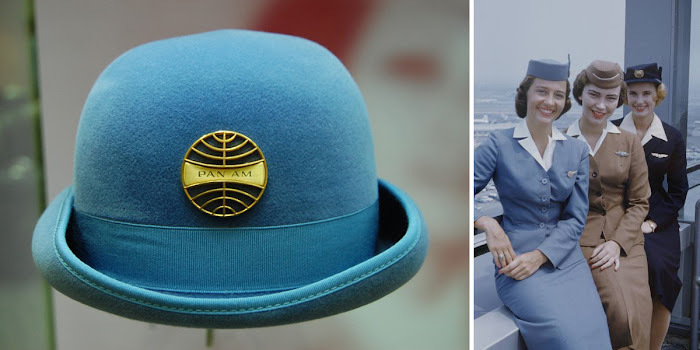 And THOSE hats: My favorite, I admit is the late 70's/early 80's Bowler style (on the left photo and on the Pan Am flight attendants below)... Since of course, that's the one I remember. 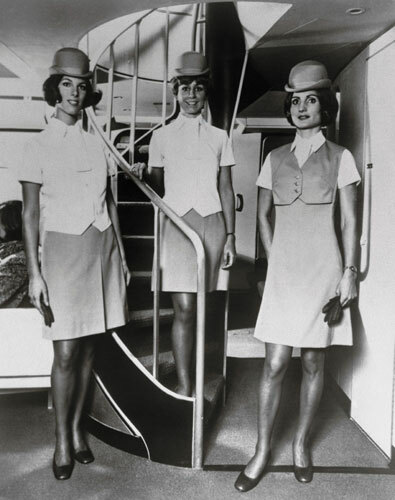 I long for those days of Flight Attendant Uniforms. 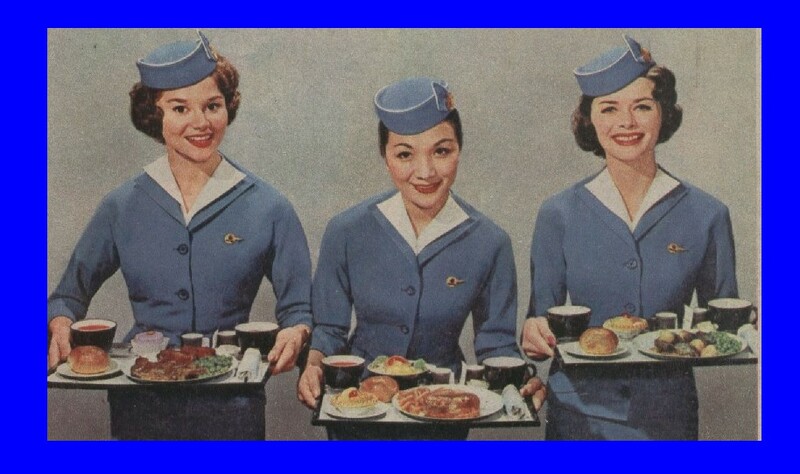 Maybe that's why I LOVE those Asiana Airlines (above) and Korean Air flight attendants--their uniforms are so "retro"... My Connection to Pan Am: As I said above, I first flew on a Pan Am jet when I was about 2 months old--or so I am told by my mom and dad. I was born in St. Louis, Missouri (because my father was also born there and he wanted his first born to be born in his hometown) but yet, as soon as I was able to leave, I was put on a plane (with my mommie, of course) to fly all the way to my mom's birthplace, Panama so her family could meet her new son! 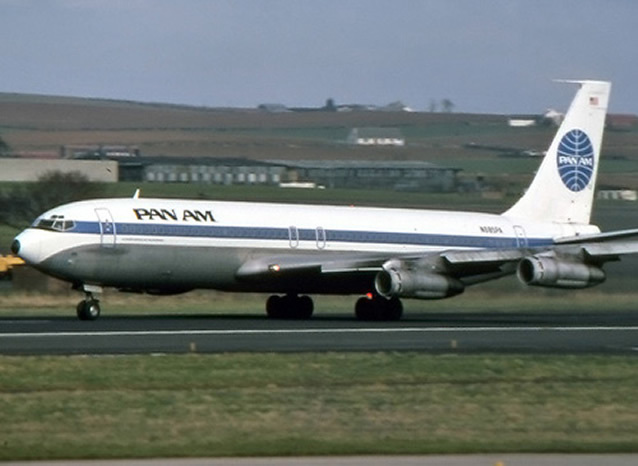 And then, it was off to Caracas Venezuela (all on Pan Am of course! ), where my father had gotten a position in the US Embassy. 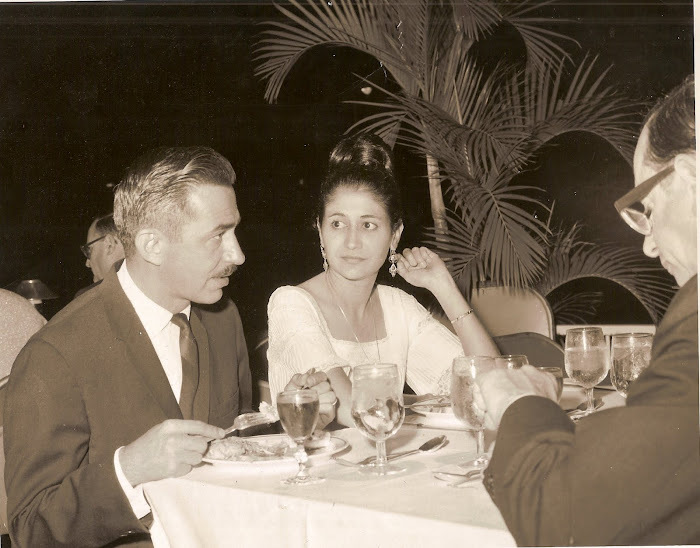 My mom just told me the story that on that Pan Am jet I first flew in (St. Louis to Panama City Panama), her and I flew First Class (very flossy-flossy!) and they actually had a crib (in First Class) for me to sleep in! 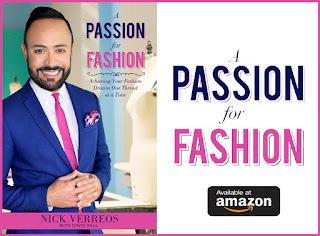 5 Responses to "TRAVELING IN STYLE.....Pan Am Flight Attendants: My First Style Muses "
Wow, Nick! You have such an interesting life and even more so, because your mother almost worked for Pan Am. I was looking forward to the show all month long, mainly because of the clothes. I love it. You will always be my baby-Nick. We are so very proud of you Nick. Nice Blog. Fabulous Post. Bookmarked your blog!! Back when the women ruled the air and not the stupid TSA. I must admit, we would still have the stewardess lifestyle if it hadn't been for President Kennedy getting shot to death (think about the repercussions it had). Someone should go onto the Bloggers website. They have a series of color photos of Pan Am stewardesses from the late-60's and they're great!